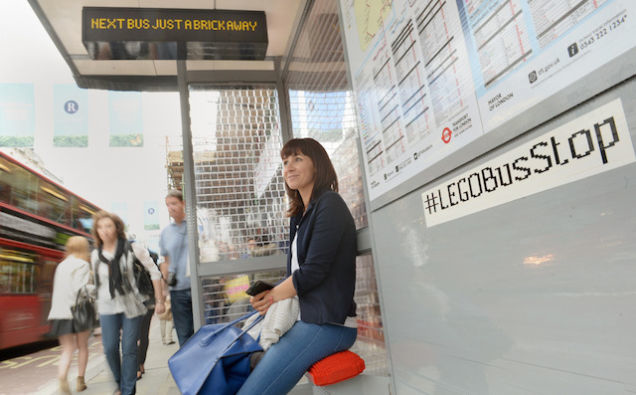 This London bus stop is made entirely from 100,000 LEGO bricks #LEGO « Adafruit Industries – Makers, hackers, artists, designers and engineers! 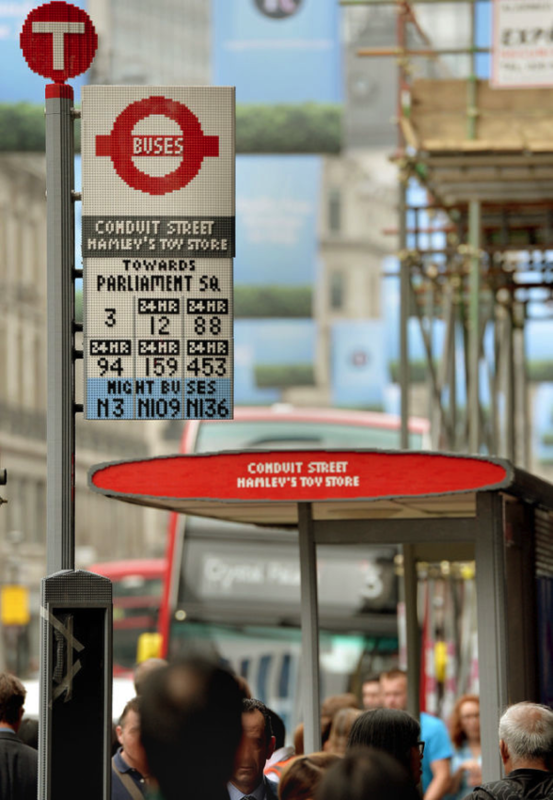 An entire Lego bus stop built to Transport for London specifications has been constructed in London’s Regent Street—right in front of a toy store, of course. The route signs, the windows, even the seats are made of Lego bricks! 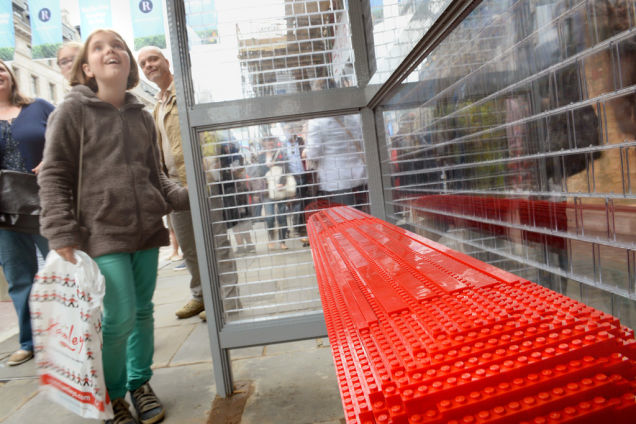 The structure was crafted from 100,000 Lego bricks by Trueform, a company that makes street furniture, so you know they’ve got an eye for detail: it even includes clear bricks to serve as “glass” on the back wall of the bus shelter. The project is in partnership with Transport for London to celebrate 200 years of London buses. The stop itself is fully functional but of course it’s only temporary. I’m curious to see if anyone will add any Lego graffiti to the exterior.